7th Graders Show What They Know About Characters! 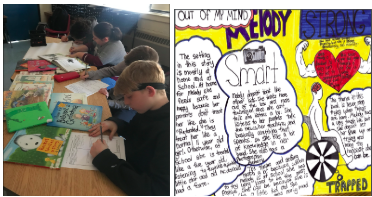 7th grade students in Ms. Clark’s and Ms. Sawyer’s Language Arts classes recently, got to display their learning of characters, setting, and theme, by participating in a number of activities as a final celebration of their hard work over the last several weeks. Well done LC 4 and LC 5 students!